On the joyous occasion of Raksha Bandhan, make your bond stronger with your dear ones by ordering this Lovely Rakhi Celebration Gift of Choco Pie Box (6 Pcs.) delightfully combined with Sweet Free Kids Rakhi with Roli Tilak and Chawal. 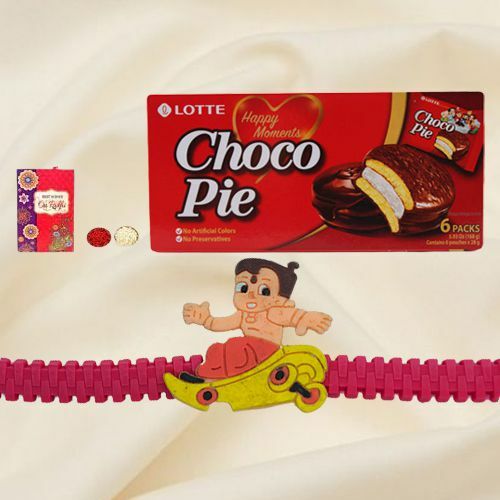 These delicious Choco Pie are coated with Chocolates and Marshmallow Cream. (More Rakhi can be added from below option).